It would be easy enough for PUSH to buy a great chassis and drop their guts in (say X-Fusion or Suntour) but that’s not their M.O. Manufacturing lowers and crowns in the USA for 100% domestic product (not just assembling forks in the USA) is doable but it will definitely result in a super-premium product not a Lyric + $300. 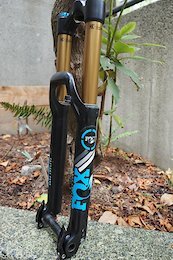 This is a 2012 Fox 36 Float RLC with an 8" (200mm) tapered steerer tube. 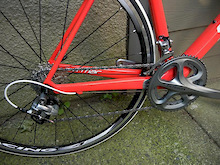 160mm Travel and it uses a 20mm x 110mm (non-Boost) axle. The crown steerer (CSU) has been replaced a couple of times over its life and does not creak. The air system was upgraded in ~2014. It has been (fully) serviced ~ yearly since new. It is mechanically in excellent shape but as you can see from the photos it has had a great life out on the trails and the price reflects the cosmetic wear. Available for local pick-up in North Vancouver by the buyer or a friend willing to ship it to them. Early 2013 V2 Carbon Nomad frame (last batch of QR 135mm rear ends). Size is Santa Cruz XL which basically translate to a large. Bearings were done about a year ago and greased regularly using the fittings - move perfectly. Lots of scuff marks on the frame - as you'd expect - but it's in good shape. 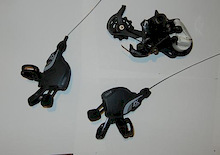 Includes a Fox RP23 Kashima Adaptive Logic shock tuned for the bike. 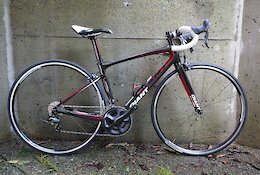 Available for pick-up in North Vancouver by buyer or friend-of-buyer if you have someone willing to ship it for you. PUSH Industries link for Santa Cruz Nomad Gen-2. Anodized Blue. Bearings in excellent condition, linkage and shock-mount have a few spots of minor wear but are basically as new. New the kit was over $200. I couldn't find another linkage to base pricing on so I'm selling for $100 OBO. Pick-up in North Vancouver by you or a friend who will ship it to you.